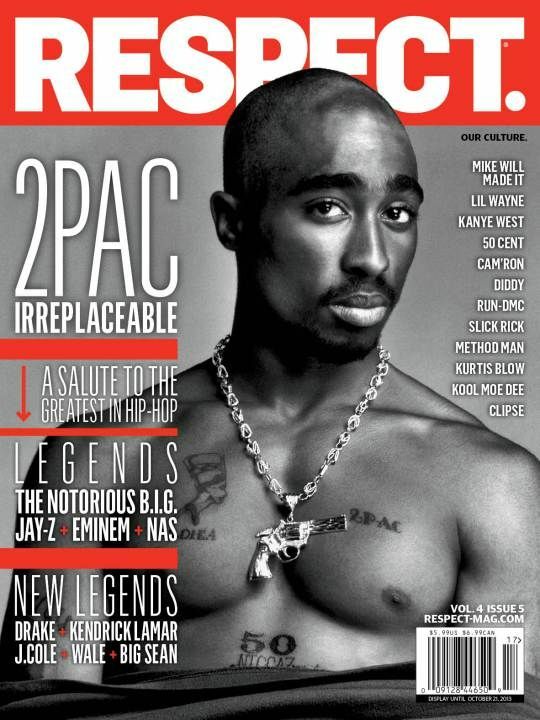 Tupac Covers RESPECT. | RESPECT. Tupac‘s back. He covered our inaugural issue and now he’s returned to grace issue number 5 of our 4th volume. Visit your newsstands and bookstores tomorrow (September 10) to grab a copy (or two, or three, ad infinitum…). This is the Legends issue so the photos and the stories they tell will be legendary, to say the least. MAKAVELI THE DON .THUG LIFE OUTLAW IMMORTAL !